Wayne Seden, a Santa Rosa resident and lifelong tennis player, took upon himself to give his community new and improved tennis facilities. After he saw a letter in the Press Democrat in 2012 complaining about the courts being dangerous, Seden wrote back and decided to start fundraising. 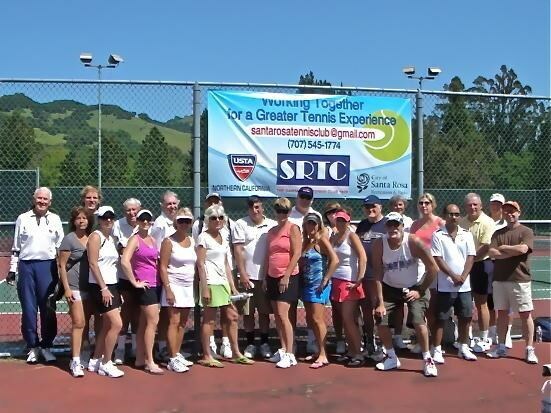 He then connected with USTA NorCal to figure out the next steps. But he soon found out that it wasn’t going to be easy. “People didn’t pay to play tennis so they wondered why the city wasn’t doing it and had to do it themselves,” says Seden. After creating a board at the Santa Rosa Tennis Club, a new website, and sending notices out about his project, Wayne raised enough money to resurface Galvin Park. “I physically went around to people playing,” as Seden explains how he started fundraising. The USTA pitched in by awarding him a grant to keep his efforts going. ADVERTISEMENT A year ago, while talking to Lorne Swanets after Seden played at Howarth Park, he joked with him and said, “How do you like to play on those cracked courts?” Swanets was a little hurt and decided to launch a fundraising campaign of his own. On July 28th, they celebrated the resurfacing of all the courts. 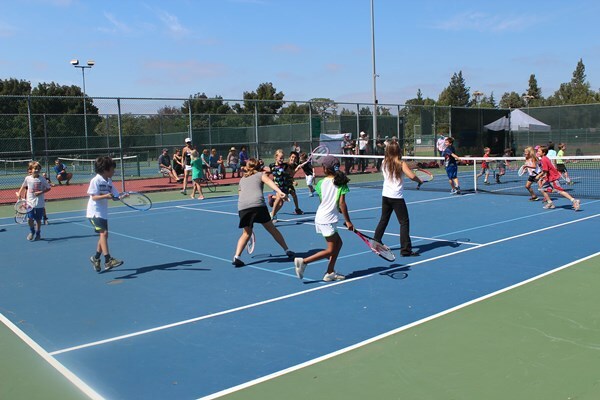 As of today, thanks to his leadership and dedication, he has rejuvenated the CTA program in Santa Rosa and has resurfaced two parks, for a total of 12 courts, with two being used for the Quick Start program. “We take pride in our community and want to make it a nice place to play and live in,” says Seden, explaining why he started and continues to volunteer. Even through the difficult times, he persevered, rallied people, and to this day wishes he could’ve done more: “Enough people say how they appreciate what I do, so I keep going,” jokes Seden, when asked how he stuck with it. They now hold monthly round robins, have a sanctioned tournament in August, have league play, and hold play days. The membership has grown tremendously, now at 300 kids and 100 adults a year. To learn more, visit SANTAROSATENNISCLUB.ORG.